I put off watching this film for quite some time as I consider myself an animal advocate. I couldn’t bear the thought of watching animals be mistreated and misrepresented, as well as punished and harmed. I finally had enough people tell me how important this film is to watch, and how if my dream of making a documentary that will create change, then Blackfish was the one to watch. Cowperthwaite didn’t make this movie to create conflict or start a controversy, she was a filmmaker who was interested in investigating the death of SeaWorld trainer Dawn Brancheau. Despite Cowperthwaite’s interest in simply making an investigatory documentary, she has definetally rocked the boat in more ways than one. She made a powerful and horrifying case against keeping orca whales, and by extension any wild animal, in captivity. 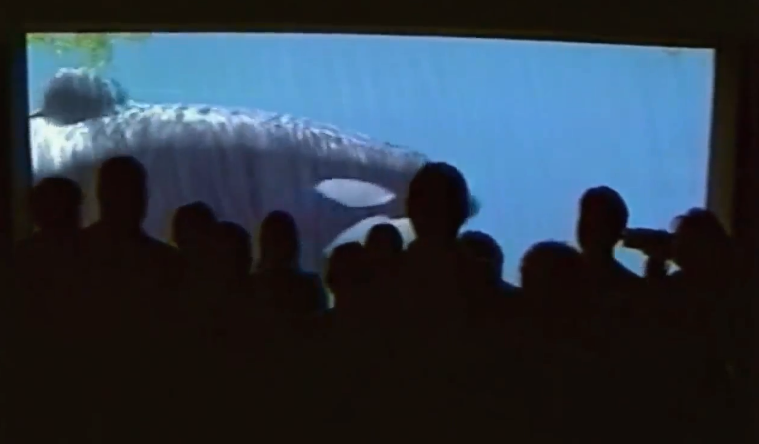 Through years of archival footage, as well as interviews with many former SeaWorld trainers, Cowperthwaite told the story of Tilikum, the killer whale, and the events leading up to Dawn’s death. She was able to capture heartfelt and remorseful moments from those who first captured Tilikum as a 2 year old, separating him from his family and native ocean home. Cowperthwaite’s initial instinct that “there had to be more to this story” and her determination lead her on what she describes as a “journey of shock and discovery”. This film is a must see. It is people like Cowperthwaite that have the strength of purpose to direct a film that will make a change in this world. Blackfish could very well be a film that we not only see nominated, but win the Oscar for Best Documentary. I give Cowperthwaite a standing ovation. There are many of us that talk about starting a revolution, but there are few of use who have the bravery and strength to actually start a revolution. His actions spoke just as loudly and clearly as his words . Nelson Mandela’s activism should be forever honored and always followed.